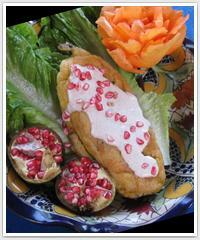 The food of Mexico has the distinction of being one of the world's first fusion cuisines. It uses an alluring blend of flavors from the Spanish with those of this country's fascinating indigenous people. Mexican food is known world-wide for its hot and spicy kick, yet its truly authentic dishes have much more to offer than just heat! Our entertaining classes include a light breakfast and full-on Mexican comida fuerte (hearty lunch), complete with festive drinks. 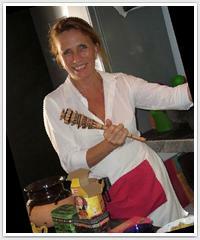 You'll learn the traditions and culture of these foods and drinks, as well as the methods in which to make them. So, whether you are a novice in the kitchen, or a gastronome looking to expand your repertoire... it's a scrumptious food adventure you won't forget. Cük, we don't consider our selves as a traditional cooking school, our approach to teach is to have fun learning about the art of cooking at the same time you will have a great time learning, keeping you away from the routine. We have different kind of courses, each of them are focused on the different interests and ages, you don't need to be a professional to take a course with us, we have different levels for your cooking skills from beginner to advance. We have lessons for kids, adults, couples we even have a service to your door. If you are a chef and you want to learn more about the art of cooking, we create special courses with the most important chefs in Mexico. Hi I been teaching sushi for the last 5 years. New age sushi and traditional style as well desserts such as cupcakes and doughnuts.